Coachella kicks off festival season right! We are amped (haha) to share how some of our favorite game shifters wore their Clutch Crowns, jewelry and accessories to take their concert outfits up to 11;). 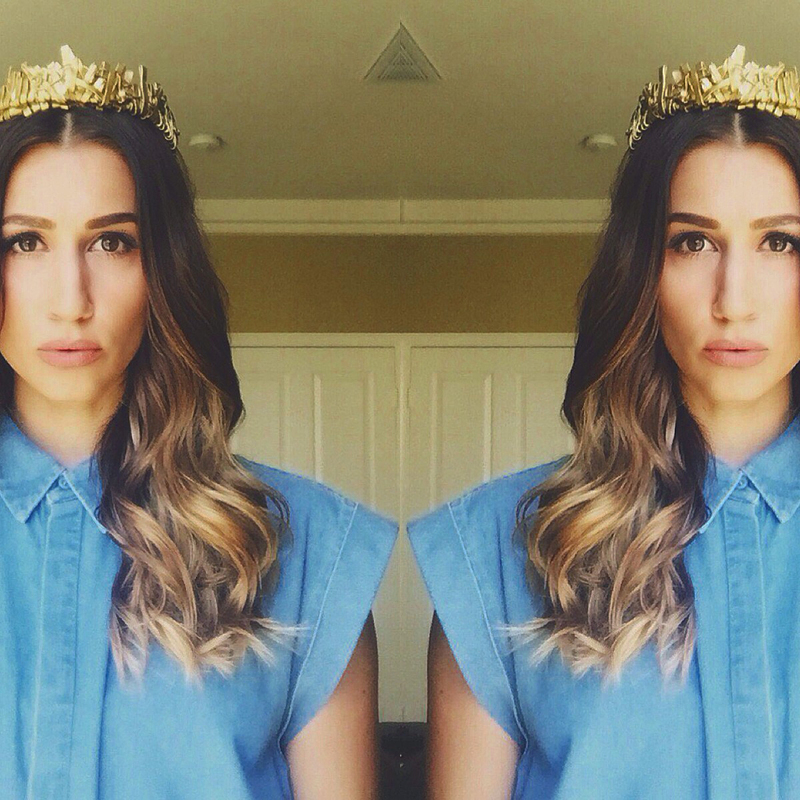 WhatLolaLikes blogger Lauren Garcia wore the Hippolyta Crown from our SS15 collection for Michael Costello because it was a little punk rock (Lauren is not a boho kind of girl) and no matter how much she bounced around the shop (and Lauren is very bouncy, just look at those luscious locks) the Hippolyta Crown stayed put. “I love how it curves here, very comfy,” she said with a smile. 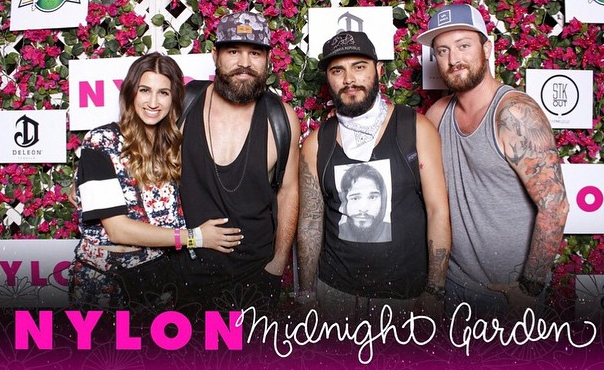 Her hubby JJ Garcia was all about our plain black men’s necklace; “…outfit wouldn’t be complete without it!” and rocked it all day and all night at the Nylon afterparty. 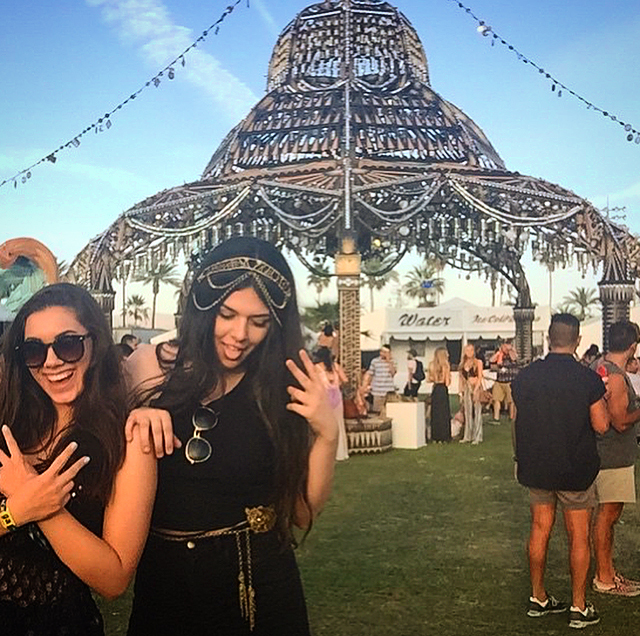 Coachella is notorious for being hot and dusty, but that didn’t stop ASU Business of Fashion’s Hanna from working an all black outfit and all Clutch accessories while jamming out to one of the greatest rock bands of all time: AC/DC. (where is that dang “rock on” emoji?) She looks like a rock goddess in our Hera Crown and the Watchtower Belt from our new ClutchLIVE Collection. im pretty frustrated with wordpress right now, they are not user friendly. I use wix and shopify for other businesses and would recommend WIX free or paid. They are incredibly customizable without having to purchase anything. Sorry it took me so long to respond!